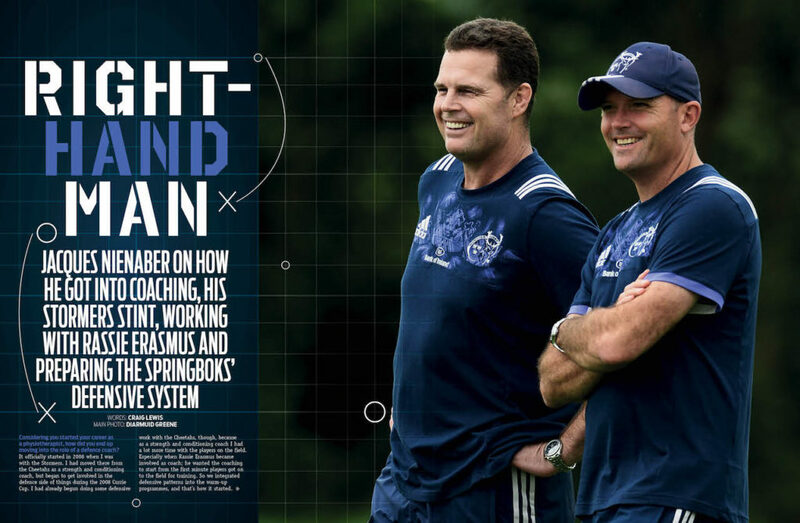 Jacques Nienaber tells CRAIG LEWIS how he got into coaching, his Stormers stint, working with Rassie Erasmus and preparing the Springboks’ defensive system. Considering you started your career as a physiotherapist, how did you end up moving into the role of a defence coach? It officially started in 2008 when I was with the Stormers. I had moved there from the Cheetahs as a strength and conditioning coach, but began to get involved in the defence side of things during the 2008 Currie Cup. I had already begun doing some defensive work with the Cheetahs, though, because as a strength and conditioning coach I had a lot more time with the players on the field. Especially when Rassie Erasmus became involved as coach; he wanted the coaching to start from the first minute players got on to the field for training. So we integrated defensive patterns into the warm-up programmes, and that’s how it started. When did you first begin working with Erasmus? We met each other in the army. I was in a different regiment, but we were both in the armoured corps. We met through a mutual friend, who was Rassie’s roommate, and so we ended up spending a lot of time together. I went on to study physiotherapy and eventually became the Shimlas physio at a time when Rassie was progressing through the Free State rugby ranks as a player. In 1999, I became the Cats physio and he was then captain under André Markgraaff. We’ve worked together extensively since then, but our friendship goes all the way back to 1991. 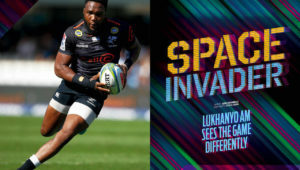 Under your watch, the Stormers’ defence became widely regarded as one of the best. What was key to this system?We had a good work rate to get back to our feet to win the numbers game. We also had an incredible squad that was blessed with quality individuals. Defence coaching also wasn’t such a thing back then, so players were keen to learn. It’s more of a science now, but back then it was a case of venturing into the unknown. Everybody was looking for an edge and that was one of the areas where teams felt they could achieve that. With the state of the game and certain law applications changing all the time, how do you go about ensuring a team is capable of meeting the challenges from varying opposition? The way the game goes, you see defence will dominate for a certain period, then attack will catch up, and so it goes back and forth. It’s always evolving. In 2009, 2010 and 2011 with the Stormers, often just by showing a team a wall of defenders, the attacking team wouldn’t have the patience to break it down, and they would force the offload, while skill levels perhaps weren’t what they are today. So you could feed off errors and get the ball back in two or three phases. Now you have to adapt because attacks have got so much better and forwards have been up-skilled to catch and pass. Now you see that teams are regularly holding on to the ball for 20-plus phases, which you have to be prepared for. And what adjustments are required as a coach? You need to make new plans. Teams are not going to make silly decisions and give you the ball for free, so you have to be innovative in trying to get possession back a bit earlier. As a coach, you also have to evolve with the personnel at your disposal. Players are getting better in terms of how they read the game, their contesting at the breakdown and how they’ve become stronger over the ball. Each player has a specific skill set that you can harness, and the challenge is to find out what that is and incorporate it into an effective system. That’s why you can’t just copy and paste one system; it’s all about the strengths and unique capabilities of the players available. How did you find the experience of coaching at Munster? I was always keen to experience coaching in a new environment. It was a fantastic experience to learn from people who view things differently and who have different skill sets. The timing was also good for my family, but the plan was always to come back to South Africa. Rassie and I had always hoped that if we were relevant and good enough, we would come back to be involved with the Boks at some stage. That opportunity came a bit sooner than I expected, but it was still great to get a feel for the northern hemisphere and enrich ourselves as coaches. How do you plan to go about preparing the Boks’ defensive system, considering the limited time you will have to work with the squad before the June Test series against England? The good thing is that we have been spending time with the franchises, and it enables us to gain an understanding of how the players are performing and how they function – not only in matches, but also at training. The first thing is to try to get an in-depth understanding of the skills and where we can go defensively as a Springbok team. I’ve been looking at almost every tackle that is made and working to get a feel for how each player defends. The key is to get a profile of all the players and once we have that, we can consider the defensive route we can go, based on who has been selected. After England’s struggles in the Six Nations, Eddie Jones spoke of the need to make selection changes to bolster their power game. What do you expect from them? They will come with big ball-carriers and they do have players capable of fulfilling that role. If you look at the makeup of the England pack that Eddie would probably want, there are likely to be five or six big ball-carrying, momentum-gaining forwards who also have the ability to dominate the set piece. I don’t think it’s something new, but perhaps they just felt it was something that was a bit lacking in the Six Nations due to injuries. England score the majority of their tries from set pieces; they are very strong in that aspect of play and I don’t think they’ll budge. They have someone like Billy Vunipola coming back from injury and they tend to use ball-carriers like him very well. Considering the Springboks have had several defence coaches over the past two years, how much time will be needed to get everyone on the same page? It will obviously take some time. 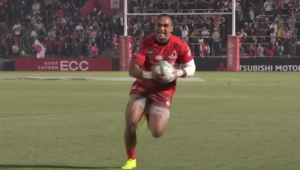 To put it in perspective, we had a whole pre-season at Munster and it still probably took until about game four or five to see that the team was beginning to execute things as we wanted them to. It is going to take time, because to implement the desired system you need to have various aspects that work together. We will focus on a couple of key aspects at the beginning and keep adding to that as we go. Are you confident the Springboks can turn things around in time for the 2019 World Cup? Yes, definitely. I wouldn’t have brought myself and my family back from Munster – where things were going well – if I didn’t feel that this could be a positive experience. We have the players and the potential required. Of course, we don’t have that much time and it will be tough, but I’m very excited. 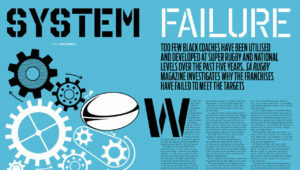 – This article first appeared in the May 2018 issue of SA Rugby magazine. 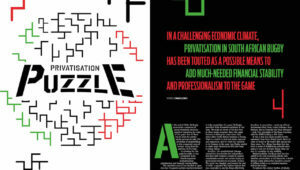 The June issue is on sale now.